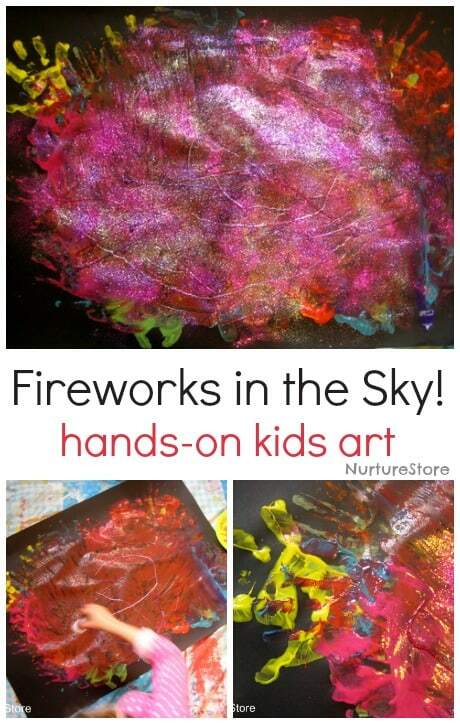 My daughter had so much fun making these firework paintings! Perfect for Bonfire Night art and Diwali crafts, here are two ways to enjoy some hands-on, colourful firework art. 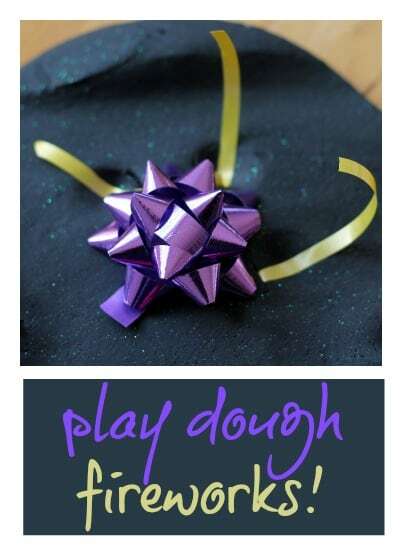 Here’s a simple, sensory play idea from my daughter: play dough fireworks! 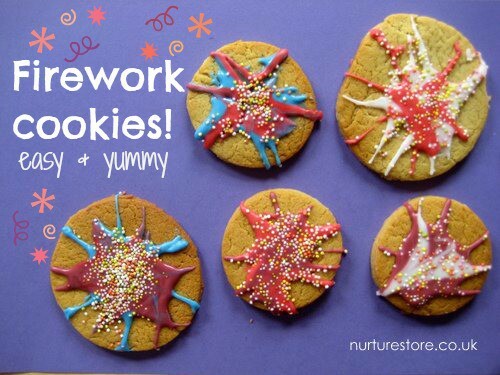 These firework crafts and cookies are great whether you’re celebrating 4th July, Diwali, New Year or Bonfire Night on 5th November. 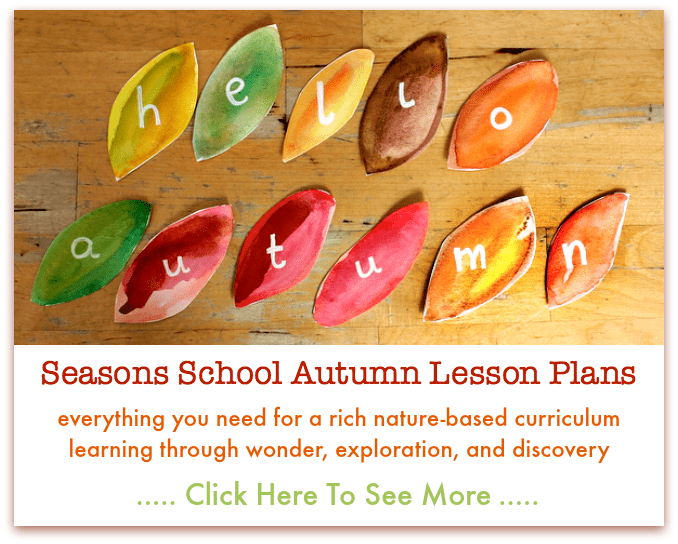 All the ideas are child-friendly – no noisy bangs, but some yummy edible fireworks and gorgeous craft ideas. 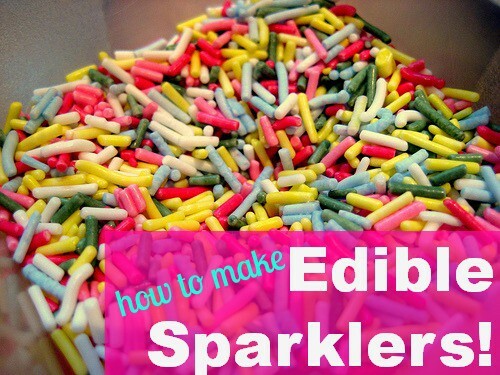 The essential ingredient for any firework craft is glitter, right? 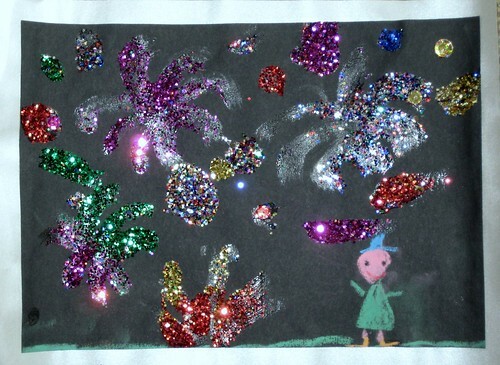 For the simplest Bonfire Night craft idea take some black paper, add glue and glitter and invite your children to create their own firework display. We used chalk to draw in our people, adding an extra medium for the kids to try out. You could give each child their own piece of paper, or go big and have each child contribute a few fireworks to one huge picture. 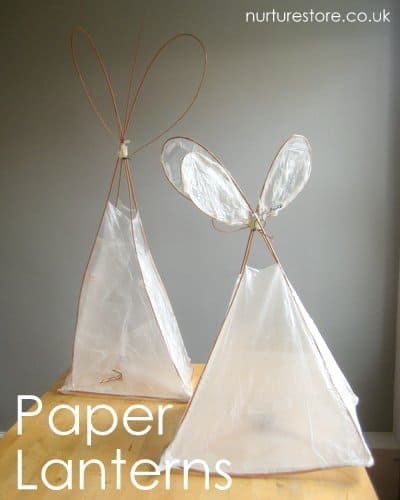 A post just for UK readers today with some Bonfire Night food and craft ideas ready for the celebrations on Saturday. (Those of you outside the UK wondering what the heck Bonfire Night is can find out more here if you want all the historical and political background) or just know it involves warming round an enormous bonfire, eating sweet and spicy foods and watching a big firework display. In the past L hasn’t enjoyed Bonfire Night – too many bangs from all the fireworks. 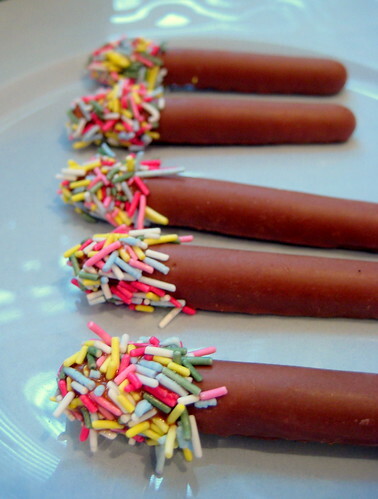 So we’re sweetening the night this year with some chocolate treats: edible sparklers. 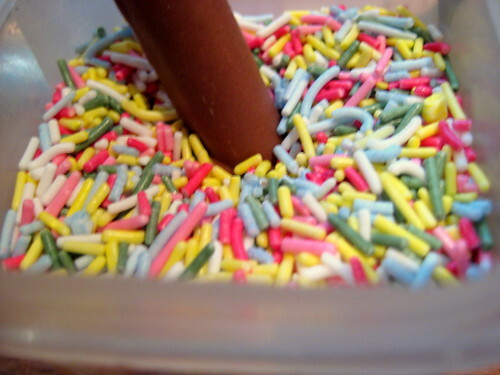 They’re a super easy peasy Bonfire Night food: dip a chocolate finger biscuit in some hot water (to just melt a little) then dunk them in a pot of sprinkles. Perfect!